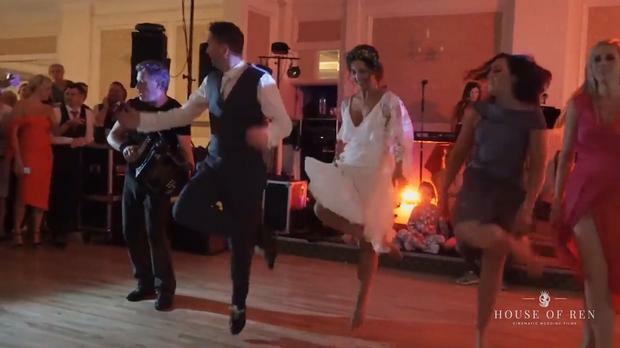 But when you have two world class Irish dancers who are tying the knot, the classic 'bit of Riverdance' at the reception takes on a whole new meaning - which is exactly what happened when Irish dance pros Anne-Marie Hickey and Damien Doherty wed last month. 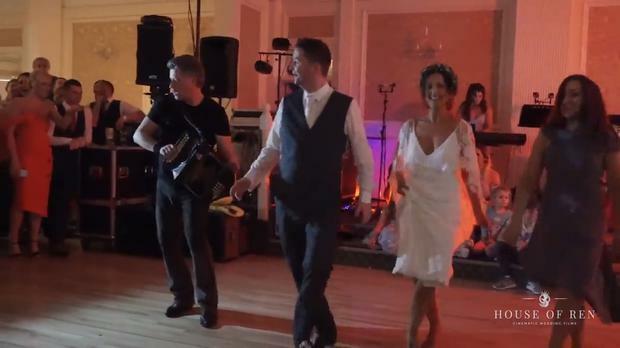 "We always said we would never do the whole Riverdance at our wedding," Anne-Marie told THEVOW.ie, "but we knew we would have to do something as it would have been expected both of been professional Irish dancers for years." Dancer Anne-Marie met Lord of the Dance lead Damien when they were both working on Inish Mór-inspired Irish music and dance show Ragus, which toured Amsterdam for three weeks almost nine years ago. They exchanged vows in October this year, and held their reception in The Park Hotel, Dungarvan. "We said that whatever dancers were there we would do a step down the line and all finish together it was all just put together on the night," says the bride. In the breathtaking video, shot by Brian of House of Ren, several of the couple's guests take to the stage to perform a solo dance, before they all come together with the bride for an exciting finale. 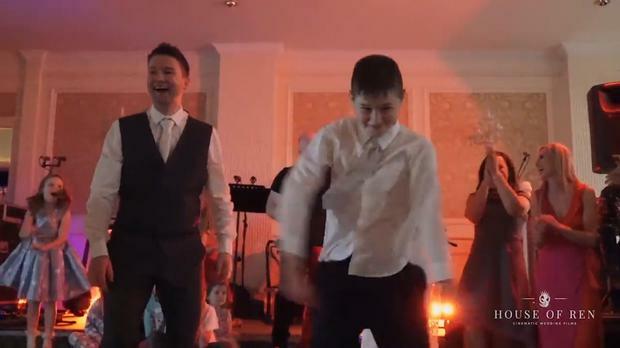 Damien's best man Ronan performed, as did their good friend tap dancer Lee who performed with Riverdance for years. The others who stepped up were all part of the couple's journey through dance shows from the beginning - including the bride's Irish dancing teacher Michael Ryan. "The musician that played was Liam O Connor from Killarney along with his children Saoirse and Oisin. Damien does gigs for Liam all over Ireland he is such a talented musician - them playing live for us really pulled it all off." Neither Damien nor Anne-Marie work as full time Irish dancers today, however Damien still dances and has his own group - D Dance Entertainment; "I will get up and do it if he is stuck" Anne-Marie laughs. The couple have two children, Séan and Hannah, "who both prefer to 'floss' than Irish dance" says Anne-Marie.